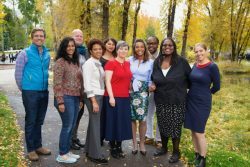 Melody Barnes is the chair of the Aspen Institute Forum for Community Solutions and Opportunity Youth Forum. She is co-founder and principal of MB2 Solutions, a domestic strategy firm, and a senior fellow and Compton Visiting Professor in World Politics at the University of Virginia’s Miller Center. Booz Allen Hamilton, the Marguerite Casey Foundation, Year Up, the Institute forContemporary Art at Virginia Commonwealth University and the Thomas Jefferson Foundation. Melody began her career as an attorney with Shearman & Sterling in New York City after receiving her law degree from the University of Michigan and her bachelor’s degree from the University of North Carolina at Chapel Hill where she graduated with honors in history. Steve is Vice President and Executive Director of the Forum for Community Solutions. He oversees work that includes a focus on building the collective impact field, as well as launching and implementing the Opportunity Youth Forum in partnership with over 30 different foundations. His work at the Forum for Community Solutions has helped to grow the opportunity youth movement while also lifting up successful stories of civic engagement and community power building. Prior to joining the Forum for Community Solutions, Steve served as a Senior Program Officer at the Bill and Melinda Gates Foundation. His work at Gates included managing a portfolio of grants focused on supporting opportunity youth on pathways to and through postsecondary education, along with work focused on adult education populations and education for justice involved individuals. Steve also served as a Vice President at the Daniels Fund and as Director of Youth and Emerging Initiatives at the New Mexico Community Foundation. Steve is the Co-founder of Rocky Mountain Youth Corps and spent several years leading youth programs for the San Juan Pueblo Tribe. Steve has served on a number of Boards including Grantmakers for Education, and Philanthropy for Active Civic Engagement (PACE). He was selected as a Next Generation Leadership Fellow by the Rockefeller Foundation and was appointed by Governor Richardson to serve as the Co-Chair of the New Mexico Commission for Community Volunteerism (AmeriCorps). In 2008, Steve served on the Obama Transition Committee focused on Social Innovation and Civil Society. Steve resides in Bainbridge Island, Washington, with his wife, Suzanne and sons, Jackson and Will. Monique is the Director of the Opportunity Youth Forum and the Deputy Director of the Forum for Community Solutions. Prior to joining the Forum for Community Solutions, Monique was the Director, Postsecondary Achievement at the National Youth Employment Coalition (NYEC). In her role at NYEC, Monique oversaw the Postsecondary Success Initiative, a national pilot that supported Community Based Organizations (CBOs) across the country to design and implement postsecondary programming, in partnership with local institutions of higher learning, for students who were disconnected from education. Monique began her career in education reform working as a Literacy Instructor at Youth Opportunity Boston. In this role Monique worked directly with students remanded to the Massachusetts Department of Youth Services (DYS) to design and deliver education and career development curriculum. Monique went on to serve the same population of students through political advocacy initiatives at the Commonwealth Corporation (CommCorp). Monique earned a Bachelor of Science from Springfield College and a Master’s in Education, Policy & Management from the Harvard Graduate School of Education. Monique serves as the Vice-Chair of the Board of Trustees at the Pomfret School. She also serves on the Advisory Board of Tulane University Cowen Institute of Public Education Initiatives. She is on the board of Independent Trust and the Corps Network. Sheri is the Associate Director for Strategic Partnerships at the Forum for Community Solutions. Prior to joining the Forum for Community Solutions, Sheri served as a Senior Policy Fellow at Voices for America’s Children. In that role, Sheri helped Voices’ members strengthen their advocacy support and expand state-level efforts to address the needs of at-risk children. Sheri accomplished this by delivering technical assistance and training to member organizations on various aspects of advocacy strategy including planning, implementation and evaluation, as well as developing capacity building and learning opportunities for members. In addition, she managed a policy portfolio on child welfare while providing internal consultation and management on a variety of policy issues. Sheri was previously the Director of Policy at the W.K. 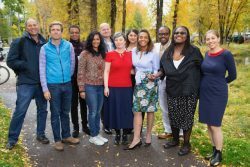 Kellogg Foundation, where she provided foundation-wide leadership and consultation on policy and advocacy grantmaking, working across programming units to develop policy-funding priorities and make connections that supported the larger organizational mission. In this role, she built public and political support for the Foundation’s programs and initiatives with internal and external stakeholders and provided capacity building activities and tools for grantees including training and consulting, while managing a portfolio of strategic grants aimed at strengthening and supporting the foundation’s policy goals. Additionally, Sheri’s prior work also includes serving as Director of Policy at the National Council of Nonprofits and Program Director at the Center for Policy Alternatives. 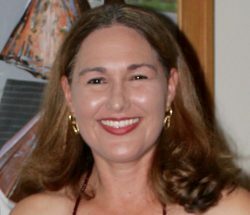 Sheri earned a bachelor’s degree in political science from Wheaton College in Norton, Massachusetts and her law degree from the University of California at Berkeley. Yelena is the Senior Program Manager for the Opportunity Youth Forum at the Forum for Community Solutions. Prior to joining the Forum for Community Solutions, Yelena was the Project Manager at the National Youth Employment Coalition (NYEC). In this role, Yelena oversaw NYEC’s expanding education options work and focused on issues of policy and practice that promote quality secondary and postsecondary education and training options leading to living wage careers. While with NYEC, Yelena worked with the Postsecondary Success Initiative, a national pilot that strengthened the ability of ten Community Based Organizations (CBOs), in partnership with local community colleges, to provide postsecondary transition support, college bridge programming, and personal and academic supports to students formerly disconnected from education. In this role, Yelena developed papers and briefs, planned convenings, delivered technical assistance, and supported the grantees’ data collection and analysis efforts. Previously, Yelena was a youth services provider with CBOs that focused on dropout prevention and homelessness. Yelena coordinated a student internship program for youth at risk of dropping out of high school and conducted outreach to educate the business community about the value of youth in the workforce at the Goodwill Industries of Denver in Denver, Colorado. Prior to that, Yelena provided crisis intervention support and transitional living case management to homeless and marginally housed youth in shelter and transitional housing programs at Urban Peak Denver in Denver, Colorado. Yelena earned a bachelor’s degree in psychology from Pace University and a Master’s in Public Administration from the University of Colorado in Denver. Emma is the Senior Program Manager for the Forum for Community Solution’s 100,000 Opportunities Initiative-Demonstration Cities. The 100,000 Opportunities Initiative is an employer-led coalition committed to training and hiring 100,000 opportunity youth by 2018. In her role, Emma manages a learning community of participating cities and supports the local work to develop and scale employer-led pathways for opportunity youth. Prior to joining the Forum for Community Solutions, Emma was Policy Director at MB2 Solutions LLC, a policy and strategy firm, co-founded by Melody Barnes. Emma worked with nonprofit and private sector clients across a range of issues, including workforce development, education, economic and social mobility, and food policy. In addition to her client work, during her time with MB2 Solutions, Emma contributed to opinion and editorial pieces that were featured in Politico, Roll Call, Stanford Social Innovation Review, The World Economic Forum blog, and the Huffington Post. Previously, Emma interned with House of Representatives in the Office of Congressman John Lewis. She also served as a Teach For America Corps Member in San Jose, California, where she taught second grade at Trace Elementary School. Emma earned a bachelor’s degree from the Gerald R. Ford School of Public Policy at the University of Michigan. Emily is the Finance and Grant Associate at the Forum for Community Solutions. She earned a bachelor’s degree from Bucknell University and an MBA from Johns Hopkins University. Prior to joining the Forum for Community Solutions, Emily worked at Children’s Hospital Boston, Johnson & Johnson and Pfizer. Emily resides on the Eastern Shore of Maryland and enjoys sailing, going to the beach, and spending time with her family. Tracee is the Executive Assistant for the Forum for Community Solutions. 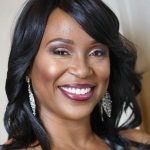 For the past 16 years, Tracee has engaged in a suite of professional experiences at PricewaterhouseCoopers LLP (PwC), including working as an Executive Assistant for both the Washington National Tax Services group and the Advisory and Assurance practices. She has also served as a Senior Associate in Learning and Development in Market Implementation and as a Registration Website Designer for the firm. Tracee earned a bachelor’s degree in Political Science/Pre-Law from Norfolk State University and a master’s degree from The George Washington University, where she studied Event and Meeting Management and Sports Management. Jamiel is a Senior Fellow for the Forum for Community Solutions. In this role he coordinates the Forum for Community Solutions youth engagement strategy. Prior to joining the Forum for Community Solutions, Jamiel was a Manager of Youth and Family Programs at Crispus Attucks Association for 12 years. While at the Crispus Attucks Association, Jamiel was responsible for a variety of tasks including managing after school and summer programs, professional and leadership development, youth and family workshops and various community service projects. Jamiel is a Rising Star award recipient in his community and currently serves as a committee member for the York City General Authority Commission, NAACP, Ancestors Dream Organization and Helping Offer Options & Directions LLC in York, PA. 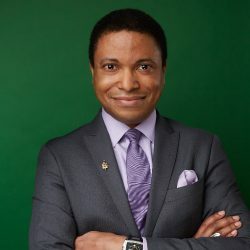 In 2012 he was appointed to serve on the National Council of Young Leaders as an advisor to our policy makers and in 2013 was chosen to speak at the 50th Anniversary March on Washington. Additionally, earlier this year, his colleagues on the YouthBuild National Alumni Council elected him as their President. Jamiel continues to engage and serve with many organizations but makes it a priority to take care of “home” first. Jamiel resides in York, Pennsylvania. Ken’s work at the Forum for Community Solutions, and his prior two decades in philanthropy, have focused on supporting teens and young adults to connect to education and opportunity. As a Senior Fellow he focuses on strategy, planning and management support for the Forum for Community Solutions team, including support for the measurement, learning and evaluation activities of the team, re-granting strategies and grant program design, and communications strategy. 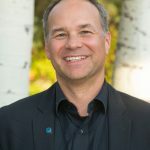 Ken is a also an independent philanthropic-sector consultant; he supports multi-sector collaboratives and individual funders to think strategically and design new approaches to funding programs. His recent employment experience includes an 18-year stint at the Bill & Melinda Gates Foundation, where he focused on youth and education success in Washington State. He has master’s degrees from the University of Washington and the School of the Art Institute of Chicago. He lives in Seattle with his husband and their somewhat spoiled cat. 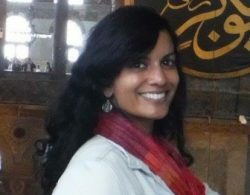 Raviya is a Senior Consultant at the Forum for Community Solutions. 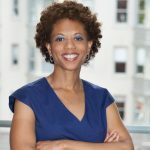 Prior to joining the Forum for Community Solutions, she was a communications specialist at The Pew Charitable Trusts, National Trust for Historic Preservation, Earthjustice, and Techbridge Girls. Prior to her communications career she was a newspaper journalist. She earned a bachelor’s degree from Rutger’s University. Raviya resides in Washington, D.C., with her husband, Amjed. Douglas is a Senior Fellow at the Forum for Community Solutions. Previously he was a program officer on the youth opportunity and learning team at Ford Foundation. Prior to 2011, he was associate dean of administration and planning at Eugene Lang College of Liberal Arts at the New School. Additionally he was executive director and CEO of the Tennessee State Board of Education, chair of the Basic Program Review Committee that oversees Tennessee’s K-12 budget, a member of the Tennessee Higher Education Commission, and principal investigator of the National Academy for Excellent Teaching. Wood began his career as a public school teacher, worked as a research assistant, and has held several posts at Harvard, including at its Graduate School of Education. Suzanne Towns is a Senior Consultant at the Forum for Community Solutions, leading the Equity Counts initiative. Prior to joining the Forum for Community Solutions, Suzanne acquired significant professional achievements in the areas of public- private partnerships; local, state and national program development; and philanthropy. Her two decades of experience has focused in the areas of community-based economic development, workforce development, poverty alleviation and advancing gender equity. Additionally, she has served as a career coach and mentor, working directly with those seeking to advance themselves professionally. Suzanne earned a bachelor’s degree in forensic psychology from John Jay College of Criminal Justice and a Master of Science in Social Work from Columbia University. She is a member and past Vice President of the alumni board for Columbia University’s Graduate School of Social Work and is a founding member of Higher Heights for America, which promotes African American women’s civic and political leadership.